Broad-spectrum sunscreens often contain a number of chemical ingredients that absorb UVA and UVB radiation. Many sunscreens contain UVA-absorbing avobenzone or a benzophenone (such as dioxybenzone, oxybenzone, or sulisobenzone), in addition to UVB-absorbing chemical ingredients (some of which also contribute to UVA protection). In rare cases, chemical ingredients cause skin reactions, including acne, burning, blisters, dryness, itching, rash, redness, stinging, swelling, and tightening of the skin. Consult a physician if these symptoms occur. These reactions are most commonly associated with para-aminobenzoic acid (PABA)-based sunscreens and those containing benzophenones. 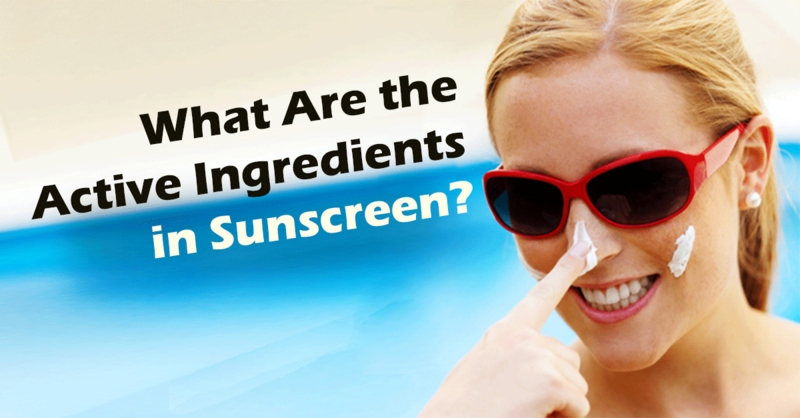 Some sunscreens also contain alcohol, fragrances, or preservatives, and should be avoided if you have skin allergies. The physical compounds titanium dioxide and zinc oxide reflect, scatter, and absorb both UVA and UVB rays. These ingredients, produced through chemical processes, do not typically cause allergic reactions. Using new technology, the particle sizes of zinc oxide and titanium dioxide have been reduced, making them more transparent without losing their ability to screen UV. All of the previously mentioned chemical and physical ingredients have been approved by the FDA. 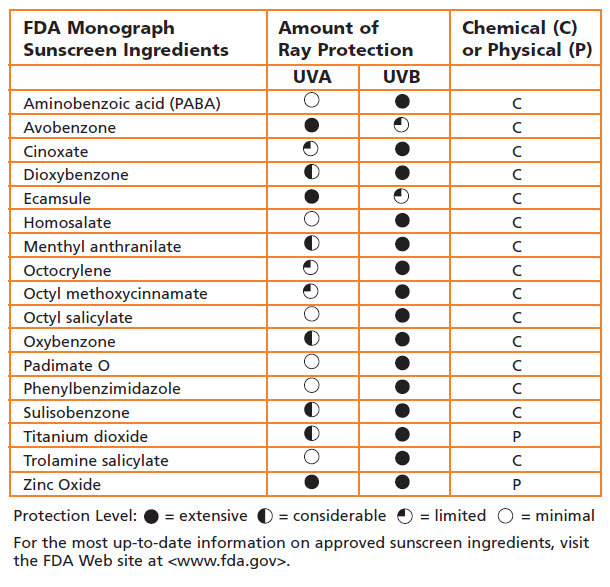 The following table lists these ingredients and includes information regarding the type and amount of ray protection that they provide and their class. The above is an excerpt adapted from the article,”Sun Screen: The Burning Facts.” For more information, please visit www.epa.gov.